Sigrid Lind is ocean researcher with the Institute of Marine Research in Tromsø. Photo: Gunnar Sætra / Institute of Marine Research. Scientists link the sharp increase in ocean temperature to a recent decline in sea-ice import. Around Svalbard, this July is worst ever in times of records. The northern Barents Sea is an Arctic warming hotspot, says Sigrid Lind with the Marine Research Institute in Tromsø, Norway. Changes go from Arctic to Atlantic climate, concludes a study Lind and other scientists have made. The results are published in a recent article in Nature. The ocean researchers have used a compilation of hydrographic observations from 1970 to 2016, investigating the link between changing sea-ice import and the warming hotspot of the northern Barents Sea. “A sharp increase in ocean temperature and salinity is apparent from the mid-2000s, which we show can be linked to a recent decline in sea-ice import and a corresponding loss in freshwater, leading to weakened ocean stratification, enhanced vertical mixing and increased upward fluxes of heat and salt that prevent sea-ice formation and increase ocean heat content,” Sigrid Lind tells in the article. Thus, the northern Barents Sea may soon complete the transition from a cold Arctic to a warm and well-mixed Atlantic dominated climate regime. In fact, the entire Barents Sea will be ice-free year-around. “Such a shift would have unknown consequences for the Barents Sea ecosystem,” Lind says. What happens now due to climate changes is a self-reinforcing cycle. The climate tipping point for Arctic sea-ice might already been past since the Barents Sea acts lik a buffer between the Arctic Ocean and the North-Atlantic. 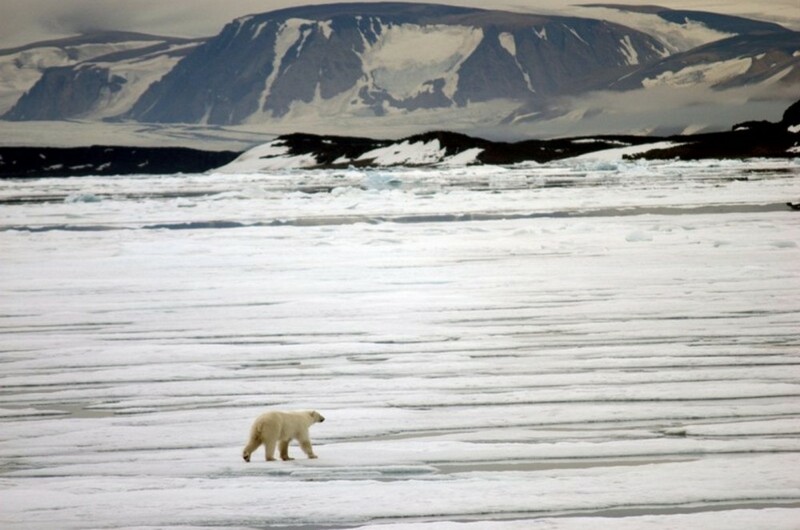 Warm Atlantic water will no longer be pressed deeper by freshwater around Svalbard because the fresh water floating south from sea-ice disappears, and with the salter Atlantic water sea-ice formation will decrease. Sea-ice has been the most important souce of fresh water to the northern Barents Sea. 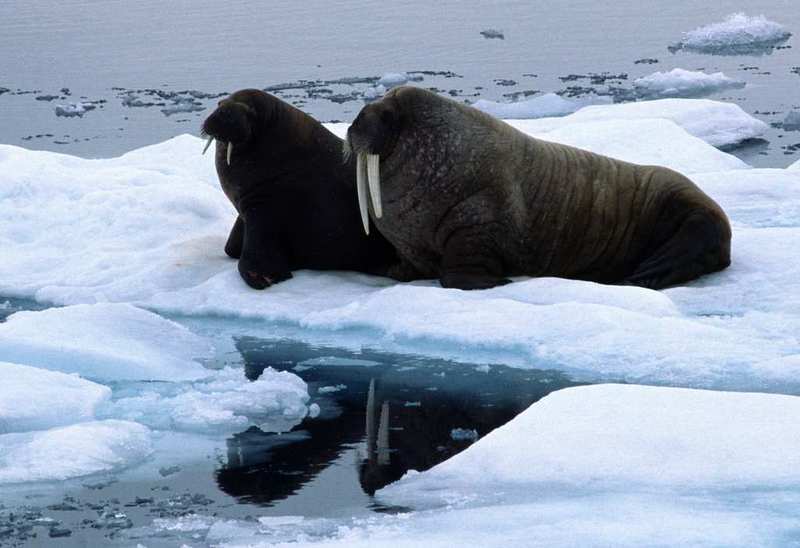 The ocean researchers argue that ice-associated marine mammals and commercial fish stocks are at stake. 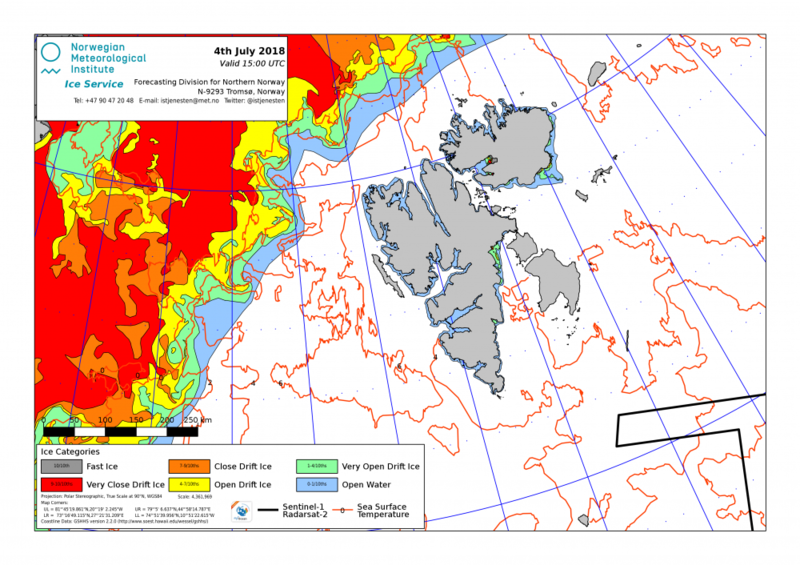 Norway’s Meteorological Institute has all summer published highly worrying ice maps for the Barents Sea. Though, better named “ice-free maps” when looking closer. Wednesday, July 4th, map Svalbard shows the Hinlopen Strait with very little ice. Also, waters around the islands of Nordaustlandet, Kong Karls land and Kvitøya have no sea-ice. “This is the lowest area for this day of the year in our records dating back to 1967,” Norway Ice Service writes in a tweet. “For the waters around Svalbard it is a record low ice area by a good margin,” says Nick Hughes, Leader of the Ice Service in Tromsø to the Barents Observer. For Hinlopen, however, Hughes says “it is not so unusual to have little or no ice in the strait at this time of the year.” He points to the three years 2016, 2006 and 1984 when it was even less than today. Further north, and around the archipelago, the ice chart for July 4th shows 183,751 square kilometers of ice. This is 131,416 square kilometers below the 1981-2010 average. Only some few spots with very open drift ice can be seen. From north of Svalbard up to 82 degrees, it is today possible to sail all east to the west coast of Franz Josef Land before meeting sea-ice. Worse, the heat keeps warming the planet. Yesterday, the Washington Post published the headline Red-hot planet, quoting a July 3rd weather model by the University of Maine telling all-time heat records have been set all over the world during the past week.